See China from a different light on this incredible 8 day tour, blending buzzing city centres with iconic tourist spots and stunning scenery all the way from Beijing to Qingdao! 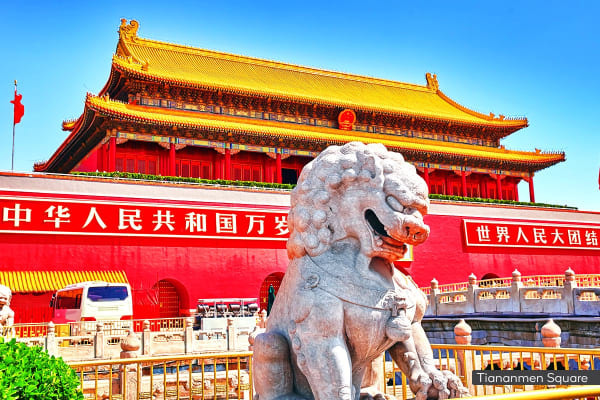 Travel off the beaten path and see the best China has on offer on this incredible 8 day tour, taking you through buzzing metropolises, architectural marvels, stunning scenery and ancient towns. Explore the lively capital of Beijing and the mighty Great Wall of China – winding its way through majestic leafy landscapes and temple-covered hilltops. Visit the spiritual heart and historical centre of China at Tiananmen Square, the sight of seminal events like the iconic 1989 Tiananmen Square protests and the internment of Mao Zedong. See medicine and the body from a different perspective with a visit to a traditional Chinese Medicine Centre, where you’ll learn about the benefits of herbal medicine, acupuncture and massage on ailing health, all while receiving a rejuvenating foot massage! Treat your palate to a unique beer tasting experience at the world-renowned Tsingtao Brewery in Qingdao, blending fresh Chinese spring water with German-style techniques to give you a flavoursome full-bodied pilsner. Ni Hao China! Pack your bags for an unforgettable adventure as your board your international flight to Beijing. 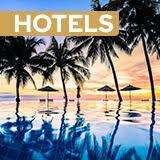 Upon arrival, you’ll be met by a tour representative and transferred to the hotel for check-in. Depending on airline availability, some travellers may depart Australia prior to Day 1. See the exterior of the 2008 Olympic Games’ Bird Nest and Water Cube, before watching artisans craft traditional Chinese Jade at one of China’s biggest factories. 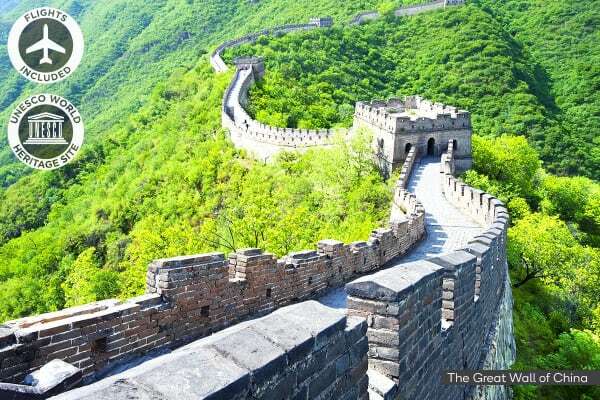 Then, be captivated by The Great Wall at the Juyongguan Pass, majestically perched over the peaks and hills of Beijing. One of the Seven Wonders of the World, you will have the opportunity to hike a portion of this marvel. Spend the day exploring Gubei Water Town, surrounded by stunning mountains, water and ancient architecture, rife with history from the Qing Dynasty. Most buildings are reconstructed in a traditional courtyard style. You could perhaps stroll along the river-lined streets or sample local delicacies like chestnut cake and sweet apple dessert. Enjoy some leisure time this morning or go on an optional tour to Little Potala Palace. Head back to Beijing this afternoon with a visit to Tiananmen Square – the largest square in the world and the historical and spiritual heart of China. Afterwards, enjoy a foot massage at the traditional Chinese Medical Centre where you will have the opportunity to learn about alternative Chinese medical treatments and even consult a Chinese Medical professional! 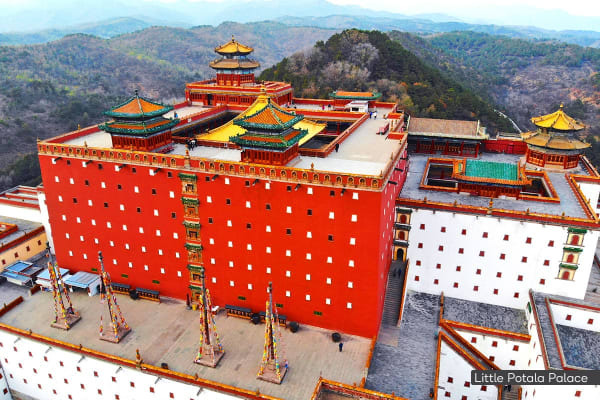 Little Potala Palace Tour – explore the stunning fusion Chinese and Tibetan architecture of this dynastic palace (price dependant on season, AUD $20-40). Board your high-speed bullet train this morning to Qingdao. Known as the pearl of the Yellow Sea, this stunning town is reminiscent of Swiss landscapes, abundant with red tiles, green trees, gorgeous blue seas and mountainous ranges. Kickstart your morning with a tour of the Qingdao Beer Museum and a Tsingtao Brewery tasting. Established in 1903, this brewery was the first Chinese brewery to blend Chinese minerals with German brewing techniques. Later, visit Zhan Bridge, a cross-sea bridge landmark that welcomes travellers as their first stop in this coastal haven. Spend the rest of the afternoon exploring at your own pace. 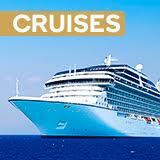 Transfer today to the airport for your international flight home to Australia.